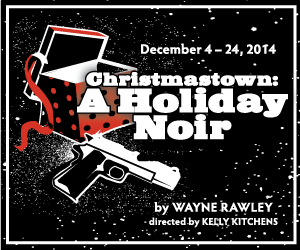 Seattle Public Theater staged the World Premiere of its commissioned play, Christmastown: A Holiday Noir, written by Wayne Rawley, and directed by Gregory-Award winner Kelly Kitchens, which promises an adult holiday grin over the contested values of Holiday Season, in a mock noir with comic book accents. 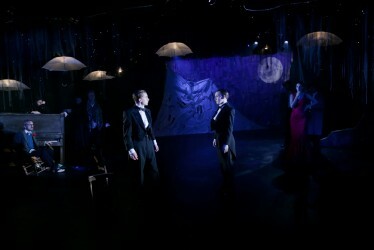 Seattle Shakespeare Company opened William Shakespeare’s romantic comedy Twelfth Night, directed by Jon Kretzu at Seattle Center, lasts Thursday. The twelfth night in Shakespeare’s time was the Feast of Epiphany, January 6th, which was the twelfth day after Christmas. In those days, Advent was a time of fasting and reflection, much like pre-Vatican II Lent, so the “good times rolled” between Christmas and Epiphany. On Epiphany, (sometimes called the Festival of Fools) there was a lot of mischief, with servants dressing as masters and masters as servants, and a general carnival atmosphere.